Unlike the normal Crocus bulbs, Saffron Bulbs (Crocus Sativus) multiplies by corm from the ‘mother’ bulb of Crocus Sativus. Other Crocus species multiply from seed. During the growing season in the Spring the mother bulb of Crocus Sativus produces smaller daughter corms in its surroundings. 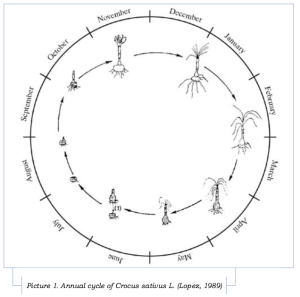 At the end of the growing season the mother bulb is consumed by the daughter corms of Crocus Sativus. The most interesting part is that all the daughter produce new flowers the following season in the Fall. Growing a professional Saffron crop is thanks to the reproduction a long term investment whereby each year the yield of flowering shall increase. From experience we have seen many different crops reaching different results from the reproduction of Crocus Sativus bulbs. It is therefore extremely important to get the bulbs from a good reliable source. 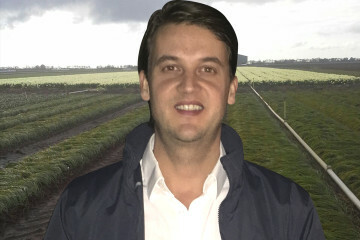 Many professional growers offer their bulbs on the market after their cycle of replanting has been reached after five years. The bulbs have been used for Saffron production and we have noticed that the bulbs were somehow exhausted and the reproduction process was very disappointing. The only problem seems to be that the result of reproduction capacity of the Crocus Sativus bulb would only be visible one year after purchasing the bulbs. Crocus Sativus bulbs which are fresh and have not been used for Saffron production, grown on a yearly rotated location have proven to have far more reproduction capacity. The maximum amount of flowers we have seen in the top year of harvest were 24 flowers from just one bulb! 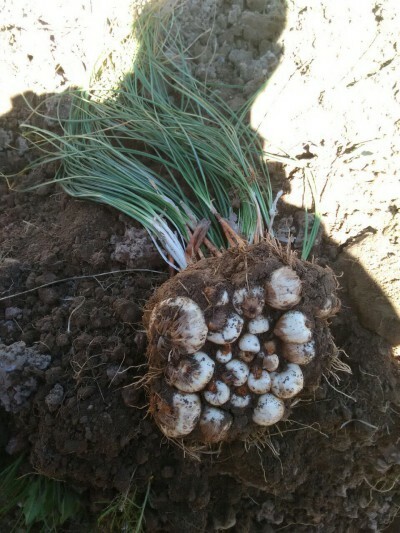 On the right image you can see an example of an healthy Crocus Sativus bulbs filled with Daughter Bulbs of Crocus Sativus. Note, all the small daughter bulbs will produce flowers in the Fall, hence more Saffron! 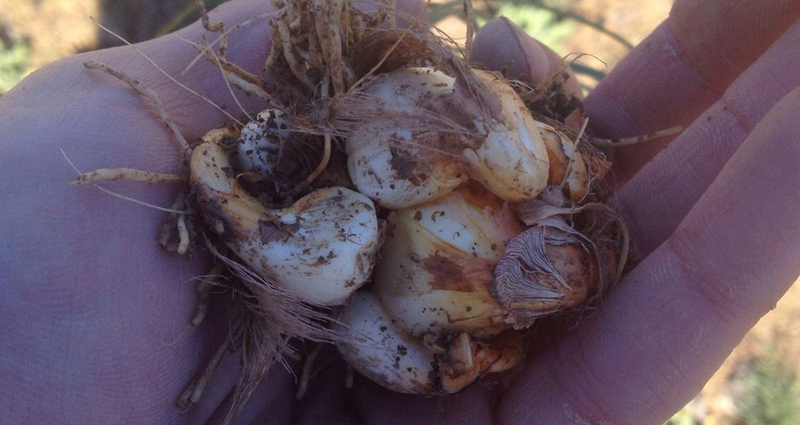 Before getting started check your source of the Saffron bulbs. Under which conditions the Crocus Sativus bulbs have been multiplied and grown for the last years. Start with a good size bulb of Crocus Sativus. We have seen the best result on reproduction on bulb size 10/+ CM. Bulb size 10/+ CM (Measured by the circumference of the Saffron bulbs) is a scarce bulb size available on the market. Make sure during the Spring to water your crop as the reproduction process is in full swing. As far as the summertime, Crocus Sativus likes warm and dry conditions. Dear Leah, we provide a healthy and excellent crop of Saffron (Crocus Sativus) bulbs. We provide the largest bulb size on the market 10/+ cm bulbs.